Precision made for commercial use with maximum strength and security! 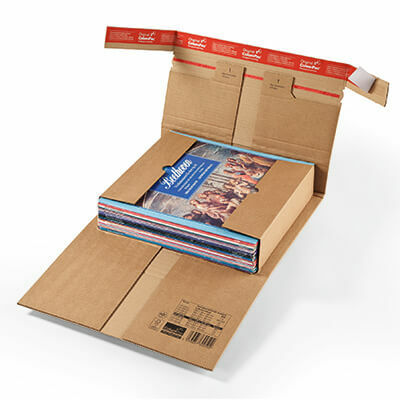 Made with reliable ColomPac® precision and the added strength of double thickness board, these quality book mailing boxes will send a powerful message of professionalism to your customer. 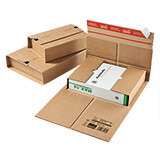 Up to five layers of board surround your product, plus extended reinforced edge & corner protection on all sides. 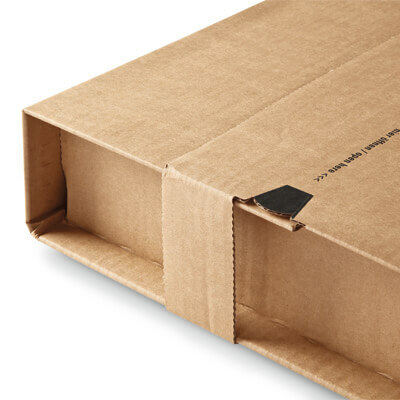 With a strong tamper evident seal, these ColomPac® heavy duty book boxes provide the ultimate in postal packaging protection. Used extensively across Europe by major mail order book distributors, fulfillment houses and e-commerce operators for the mailing of high quality products such as books, catalogues, gifts, pictures, etc. 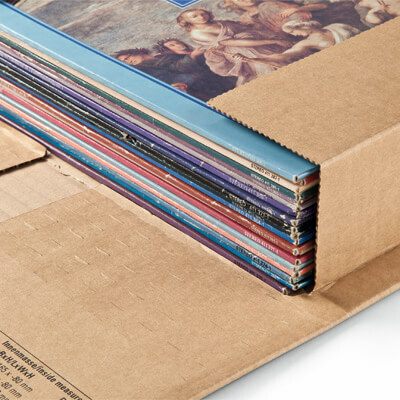 There are a number of creases built in, which allow you to adapt the height of the box to suit the contents. 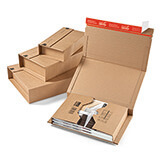 That makes these ColomPac® heavy duty book boxes suitable for products of all shapes and sizes, from coffee table spectaculars and Booker Prize winning novels to A4 magazines and large catalogues.